Welcome to the Comfort Inn in Castro Valley's brand new website where you will find our lowest rates and latest availability. Stay where all of the action is! 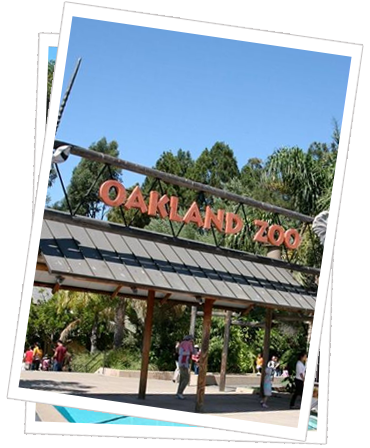 Castro Valley is centrally located near Oakland in The East Bay, providing easy access to San Francisco or San Jose. Book Direct and Save! The Comfort Inn in Castro Valley is located in the Bay Area in Northern California. In the suburbs of the East Bay between San Leandro and Hayward, Castro Valleys has easy access to Oakland, San Jose, and San Francisco. The charming city of San Leandro with areas for boating, fishing, beaches, and sightseeing views of San Francisco. Several local attractions include Golden Tee Golfland, Hayward Japanese Gardens, Kennedy Park, and much more. The California State University East Bay is just 3.1 miles from our property. Lake Chabot is covered in 317 acres in San Leandro Creek and is perfect for boating, hiking, and fishing. From boat rentals to cafes to kayaking tours, Lake Chabot is a secret place only 45 minutes from San Francisco and is an amazing scenic destination. 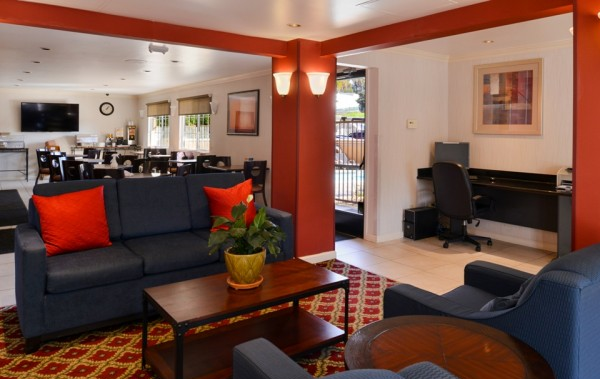 The Comfort Inn in Castro Valley was built in 1987 and is the perfect hotel spot for those who want to stay in the Bay Area but be in a quiet, cozy town. 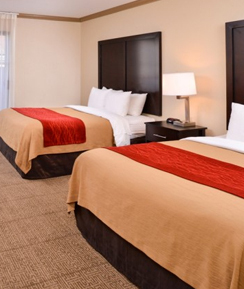 Our 60-room hotel has all amenities to make your stay with us stress-free! Don’t worry about finding a breakfast spot because we provide free breakfast every morning along with coffee and tea in the common area. Free WiFi is provided in all rooms and public areas of the hotel. Along with our on-site gym in the fitness facility, we have an outdoor pool and spa. For those who want to secure their valuables, we have a safe-deposit box at the front desk. Each guestroom is ADA Defined service-animal friendly. Our accessible hotel has an elevator/lift along with accessible parking. Each of our 60 rooms includes a microwave, refrigerator, coffee/tea maker, and much more. Enjoy your private bathroom with a shower/tub combination, hair dryer, and complimentary toiletries. 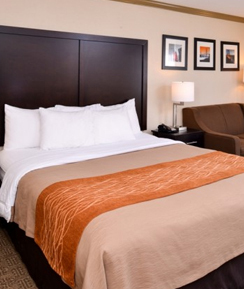 To guarantee that you have a stress-free stay, your room includes an in-room climate control with air conditioning. Flat screen TVs are featured in each room with satellite TV service and free WiFi in all public areas and each room. Daily housekeeping is provided so you can unwind and relax at the end of the day in a clean, cozy room. 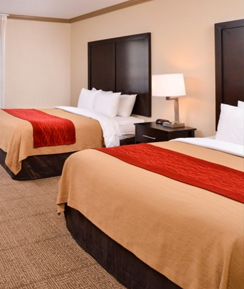 Your Bay Area family vacation or business trip will be significantly enhanced when you stay at Comfort Inn Castro Valley. Our renovated property delivers spacious guestrooms designed for the ultimate in comfort and convenience. Great savings on your bookings.